This was my last church of sixteen that day. Locked, no keyholder, not taking part in the Ride and Stride event. I noticed that some cyclist or walker had left a cross message on the noticeboard. Pevsner says this is the most extraordinary 18th century building in Essex, which is true, though it does not make it attractive. 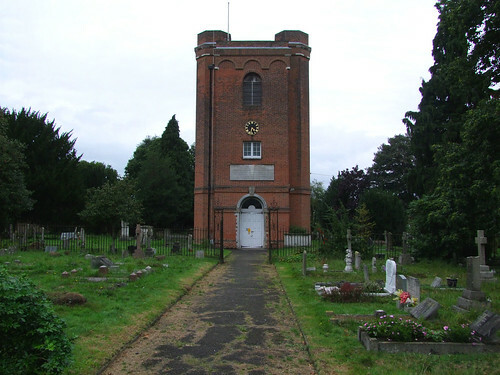 A square red brick building with a formalised tower, like a theatre clustered against a water tower.